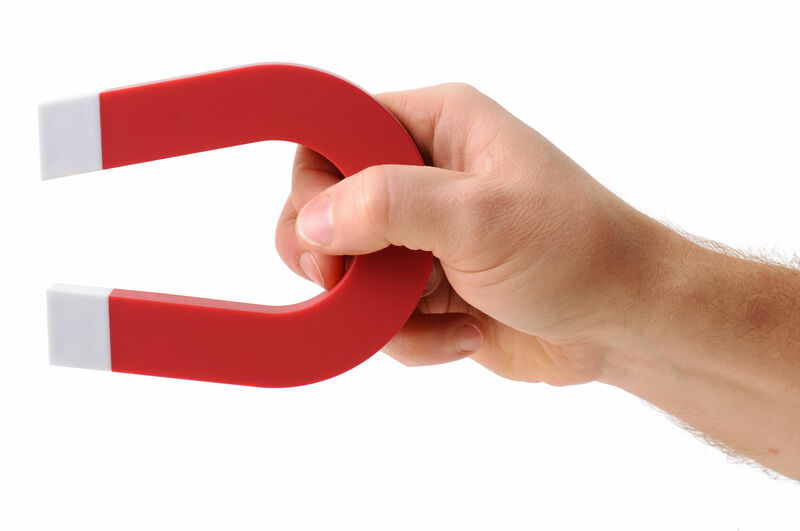 Don Maruska | Power Up Your Potential | Is Your Business Irresistibly Attractive to You? Is Your Business Irresistibly Attractive to You? Would you buy your business from someone else? Many business owners and managers have a job rather than an asset or a fulfilling career. So, it’s time to take a cold hard look at whether your business is working for you or are you are working for it. Take a few minutes to determine your Business Attraction Index™. See how well your business is serving you. Indicate with a “yes” or “no” how your business fits with each of the ten questions. If your response is “maybe” or “sometimes,” count it as a “no.” Raise your standards for what you want from your business. Don’t delude yourself. Ask a friend or spouse or check your answers. Do you wake up with enthusiasm for your work and excitement about what the workday will bring? If you’re not looking forward to your work, something isn’t working right. Many entrepreneurs and managers started with enthusiasm, but they lost it somewhere along the way. Are you doing only what you enjoy and what is a profitable use of your skills? Do you delegate everything else? One of the ways people lose interest in their businesses or careers is when growth or market changes shift what the business requires. For example, a computer software guru started a company to pursue his software design interests. Strong market demand and larger projects called for more employees. Soon he was spending most of his time managing others rather than doing the programming he enjoys. Have you delegated what you don’t enjoy and isn’t a profitable use of your skills? Are you making the money you need or want? The stress of scraping by is soul numbing. If your business is not satisfying your financial requirements, you’re on the lower rungs of Maslow’s hierarchy of needs. You’re unlikely to be doing your best work. Is your business your first choice for work? Quick, before you edit your thinking, write down all of the jobs that you wish you were doing. If there are ones you’d much rather do or if you simply can’t wait to retire, you’ve mentally quit. Do you have the time you want for family, friends, and other interests? If you can’t leave your work (another trait of many entrepreneurs), you have an addiction, not a business. Like most addictions, it gives near-term satisfaction (a feeling of self-importance or control) at the cost of long-term grief (alienated friends and family members). Do your employees have better ideas than you do? Are they taking the initiative and stimulating improved performance? Do your employees provide the juice for your business? In contrast, if you are providing all of the direction and initiative, then they are running off your battery and will wear you down. Do you enjoy vacations with confidence that your employees are taking care of things? If you don’t take vacations, then your job’s running you. Some owners and managers feel that they just can’t get away. Find employees you can count on and recharge. Do you like your customers? Are they are a pleasure to serve? Satisfied customers make a business worth having. They attract employees and investors. Are you proud of the value your work delivers to others? Does it make a positive difference for people? In Maslow’s hierarchy of needs, this is near the top. When you’ve satisfied all of the previous items, this is your opportunity to enjoy giving back to others. Actually, this attribute is the place where truly successful businesses start. It is the value that a business creates for others that is the foundation for profitable growth and personal satisfaction. Could you sell the business now on favorable terms? This is the key question. If the business is not attractive enough for someone else to buy, then it’s probably not attractive to you. People want to buy businesses that have many of the previously described attributes. They don’t want to buy a job. They want an opportunity they can operate smoothly or grow. Add up the number of questions to which you answered “yes.” The total is your Business Attraction Index™. If your Business Attraction Index™ is 10, your business is irresistibly attractive to you and others who would like to buy it. You have the opportunity for extraordinary growth, profits, and personal satisfaction. If your score is 8 or 9, your business is powerfully attractive. With some tweaking, you will have an asset of enduring value. If your business scores 6 or 7, you have a foundation in place and significant opportunities for improvement. You’ll want to make some significant changes to enhance the business’ appeal to you. If your score is 5 or less, your business is at severe risk. You’ve mentally quit or are keeping the business going at great cost to yourself. It’s time for major changes.